The Duke Blue Devils are marching into the second round of the Big Dance after a dominant win on Friday. 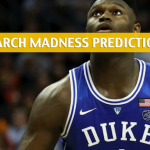 Up next for them is an intriguing matchup against the UCF Knights, which presents a different and unique challenge for Duke, mostly because of a behemoth in the form of Tacko Fall. Read on for more about that player and this game. 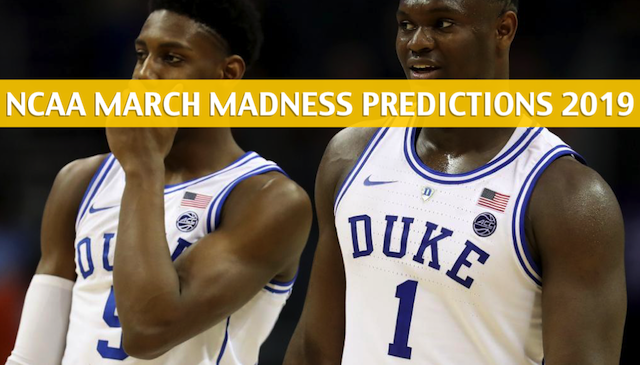 See the latest odds for UCF, Duke, and other teams to win the national title this year here. Tacko Fall and the Knights are still dancing. The Knights scored a mild upset in the first round over No. 9 seed VCU Rams, 73-58. The Knights applied a choking defense on VCU and doubled up with an efficient shooting display on the other end of the floor in the win. The Rams were limited to just 31.1 percent shooting from the field, while the Knights registered a 49.1 field goal percentage. Fall used his 7-6 frame to disturb the shots of Rams players at the rim. He had five blocks to go with 13 points and 13 rebounds. Fall is definitely the most important player for the Knights against Duke. 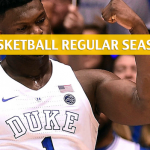 He will be tasked to prevent Zion Williamson and company from getting easy baskets inside the paint while also using his size to make life hard for the Blue Devils’ defense. In the regular season, Fall averaged 10.9 points and 7.3 rebounds per game. He also shot 75.4 percent from the field. 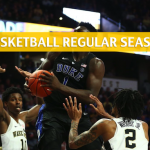 Fall will look to attract Duke’s defense to open up scoring chances for B.J. Taylor and Aubrey Dawkins, who had 15 and 14 points in the VCU game. The under is 5-0 in UCF’s last five games. UCF is 18-12-1 against the spread (ATS) over this season, and is 13-9-1 ATS after a win, covering 59.1% of the time. Duke pretended like it’s not a No. 1 seed in the first half of Friday’s meeting with the North Dakota State Bison, who trailed the ACC tournament champions by only four points at the half. That’s when the good times stopped for the Bison, as Zion Williamson and the Blue Devils played like a house on fire in the final 20 minutes of the game. 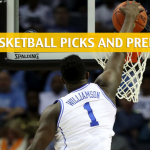 In his first March Madness game, Williamson showed why he’s bound for NBA superstardom, as the mammoth freshman dropped 25 points on 12-for-16 shooting from the field. There was nothing legal the Bison could have done to stop Williamson, as they also had to worry about Duke’s other stars. RJ Barrett had 26 points while Cam Reddish had 12. Duke shot over 50 percent from the field and held North Dakota State down to only 36.2 field goal percentage. 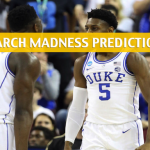 Duke is looking fine right now, and it would still take a miracle in the second round for their opponent to take the Blue Devils out, especially with the form Williamson is showing right now. 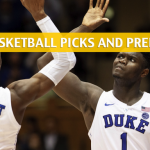 The under is 3-0 in Duke’s last three games, and they are 18-17 ATS overall this season.